A big reason to love France and to begin working out as soon as possible: FOOD! I particularly like crepes and since I got to Paris I have bought them both at street stands and creperies. Tonight we went to Creperie Josselin, a great endroit for crepes and cider. 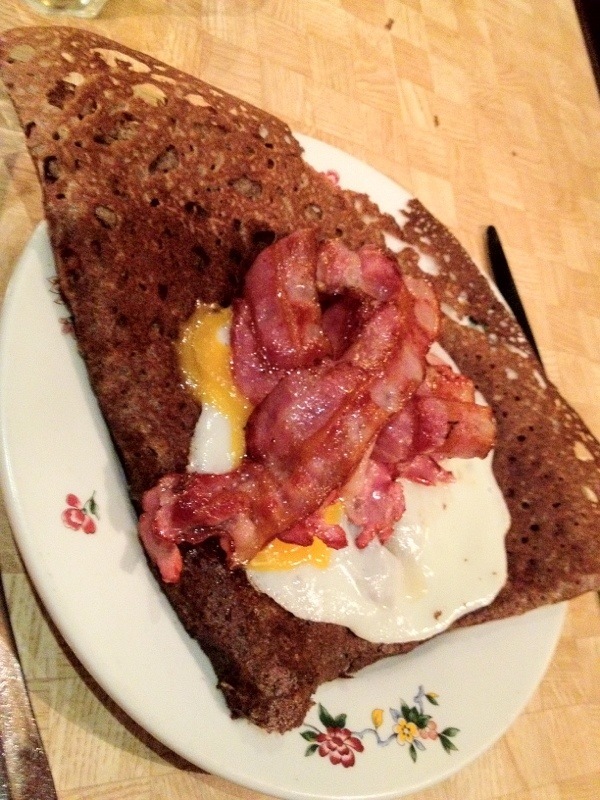 They do not seem to have a website but it is located on Rue du Montparnasse, a street with many creperies. The place is so popular that you have to wait in line for a while but it is totally worth it. We ate both salty and sweet crepes. Don’t care about the extra pounds for now. Diets always start on Monday, right? The crepe on the photo is called Finistere and it is filled with mashed eggplant. It was crunchy and delicious!